Digital technology meets the holiday of love. 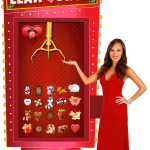 Valentine Claw4Cash offers the hottest trend in gaming: arcade style games, on a large format touch screen platform. 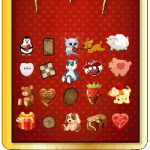 To ensure holiday bliss resonates with players, our cuddly valentine toys and icons represent chances for your patrons to win cash and prizes up to $5 Million, covered by SCA.Players tap selected toys on the game screen. The virtual claw grabs the toy and drops it in the gift box where the prize is revealed. Cutting-edge animation and audio sequences generate continued player engagement and renewed excitement at your property. 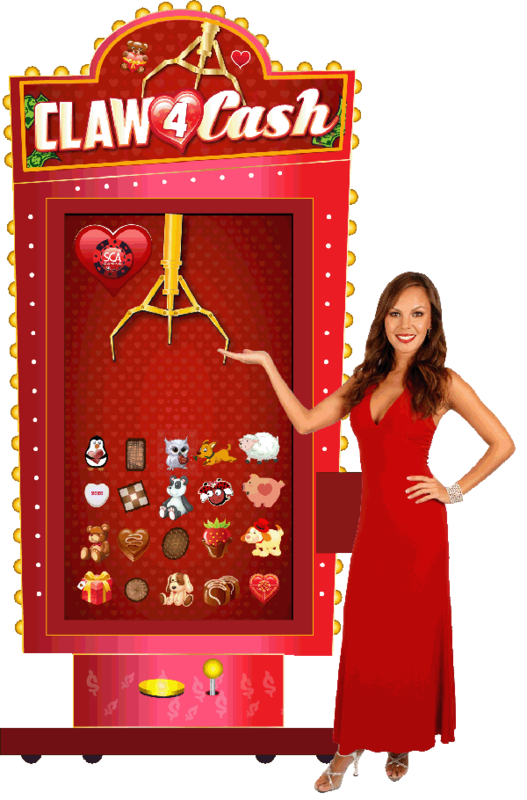 Valentine Claw4Cash is available on other kiosk platforms to easily fit your budget, space requirements and program goals.